Mates Gully proudly grows its own produce on a farm just outside the city. Every day, seasonal vegetables and eggs are brought to the kitchen and served for breakfast, lunch and dinner. Delight your conference or event attendees with a morning tea or picnic lunch prepared using fresh, local produce. 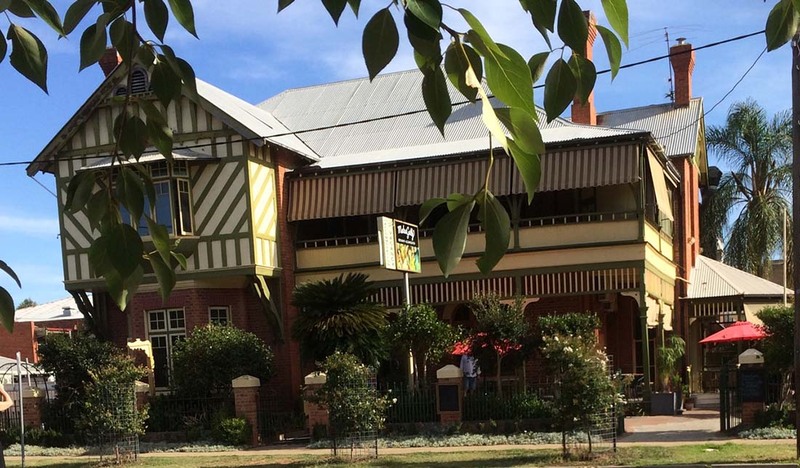 Overlooking the Victory Memorial Gardens in the heart of Wagga Wagga, the café is located in a stunning heritage building. Mates Gully is a fully licensed venue, suitable for events with up to 100 guests, and also has on-site, boutique accommodation at an affordable rate.